A friend of mine is a filmmaker who has a ton of film equipment. When she's not using it on a set somewhere, what can be done with it? 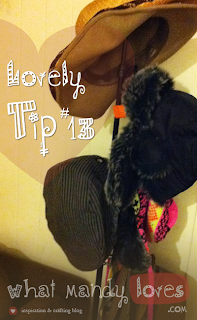 She uses one piece in particular to hold her hats! C-Stands can also be used as a hat and scarf stand or display. There are plenty of coat rack alternatives out there like accordion-style wall hooks, over-the-door racks, and fancy coat hangers shaped for things other than coats. 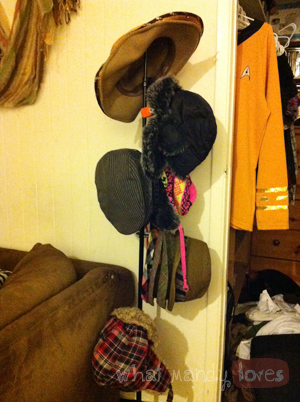 What else can you use to hang up and/or display your outdoor wear? Let me know in the comments! Nice Star Trek uniform in the closet!